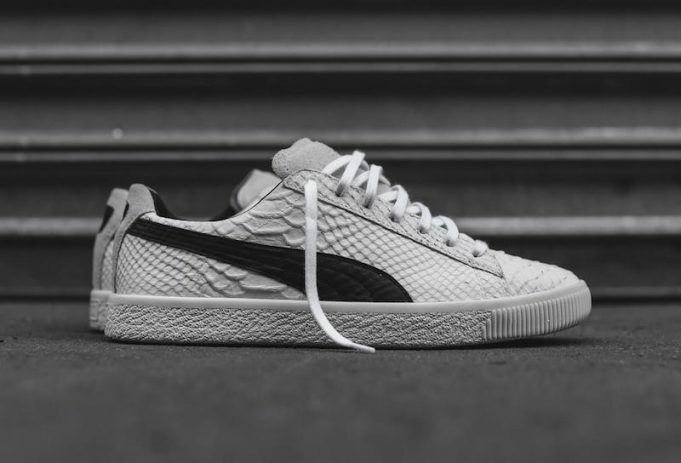 PUMA Clyde Select Made in Italy "White Snake"
A few days after the black colorway released, Puma continues it’s snakeskin Clyde select series with a white version already available. 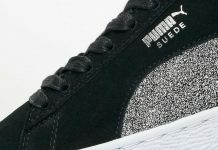 The Made in Italy Puma Clyde Select features premium snakeskin on the uppers, alongside a leather puma stripe on the side panels. 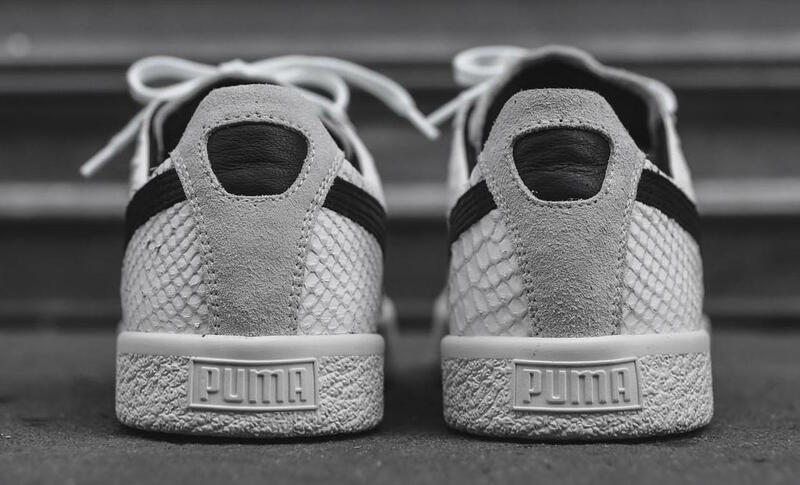 Lastly, a rubber outsole finishes the look for a fire iteration. 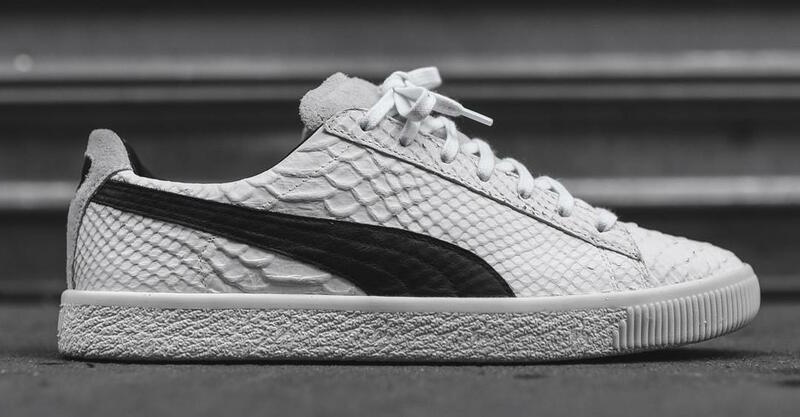 Grab these now at retailers like kith for a retail price of $200.